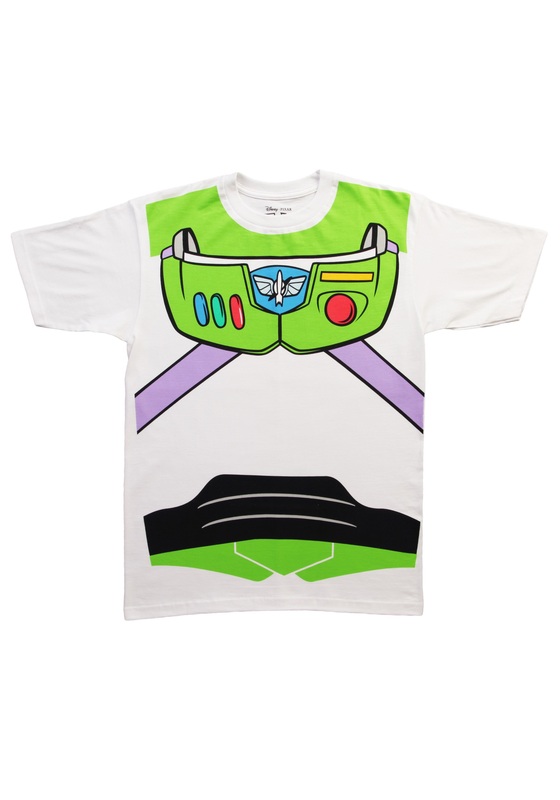 Toy Story is one of those movies that brings each generation together. I remember watching it way back in 1995. I remember the theater I went to, I remember who was there, and I even recall telling my friends all about it the next day. Then Toy Story 2 and eventually 3 came out and each was better than the last, which is incredibly hard to do with movie sequels... (Godfather III anyone?) 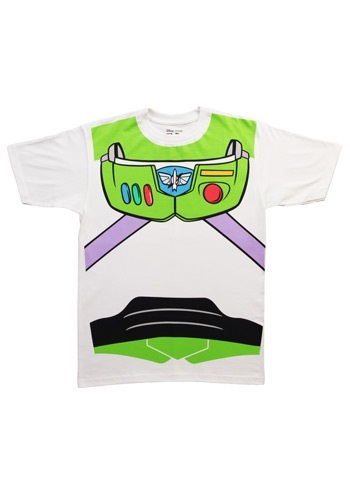 So, now that you're an adult and even though your own child loves Buzz Lightyear just like you did, you can wear this Buzz t-shirt proudly this Halloween. And if you want to go the extra mile, be sure to write 'Andy' under your shoe, making your transformation into the beloved toy official!